Sarasota is a very popular city found in Sarasota County, Florida. It's known for amazing culture, beaches, the Ringling family and so much more. The city has a population of just over 54,000 residents, but belongs to a much larger Metro area with over 700,000 residents. Along with the large number of residents in the area, Sarasota, Florida attracts millions of visitors every year. Many come for the culture, while others come for the golf courses and even more come to enjoy the beaches. The area is also very popular for retirees looking to spend part of the year in Florida. With so many visitors coming to Sarasota, the roads can get very busy, especially during peak season. This can be dangerous considering every visitor driving comes with their own unique style. Visitors often don't know the roads very well, either. Sarasota is often accessed by using Interstate 75. The Florida portion of I-75 is rated as the 15th most dangerous highway in the entire country. More than 500 fatal accidents happened on I-75 in Florida between 2004 and 2008 resulting in more than 600 deaths. The large number of visitors causes the roads to be packed with drivers that don't know where they are going. US Highway 41 runs through Sarasota, which is another very dangerous road found on the Gulf Coast of Florida. Traffic accident stats in Sarasota are on the rise. If the law enforcement officials in the area didn't monitor the roads, these stats would be far worse. A total of 34,590 traffic tickets were issued in Sarasota County for 2015. Out of these tickets 15,397 were for speeding and 4,866 were for careless driving. Another 6,101 were for running a red light or a stop sign. Out of the many tickets issued only 4% were dismissed by a judge. Your chances of getting your ticket dismissed are very slim. The State of Florida isn't afraid to take away your driver's license if you don't obey the traffic laws. After too many tickets, you will accumulate too many points on your license and it will be suspended for a period of 30, 90 or 365 days. If you accumulate 12 points on your license in a period of 12 months, you will face a 30 day suspension. Those drivers willing to risk it and ending up with 18 points in 18 months will face a 90-day suspension. Take it even further by getting 24 points in 36 months and face an entire year without a driver's license. You will be forced to ask for rides and call a cab if you have your license suspended. Getting caught behind the wheel with a suspended license could land you in jail for 90 days and you may have to pay another $500 in fines. It's certainly not worth the risk. 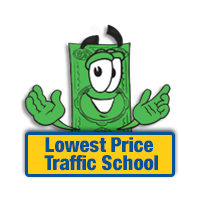 Online traffic school offers a basic driver improvement course in Sarasota, Florida. This course doesn't allow you to get out of your traffic ticket, but it allows you to avoid the points on your license. While you still have to pay the fine, you won't have to worry about your insurance rates going up with this course. Start by pleading no contest or guilty to your ticket and paying the fine with the clerk of the court. Inform the clerk of the court that you will enroll in online traffic school. Then, enroll in the basic driver improvement course and take it from home whenever you prefer. Complete the course and turn your certificate of completion into the clerk of the court. That's all it takes. Once you complete these steps, you won't have to worry about the points going on your license. This will also keep your insurance company from boosting your rates. 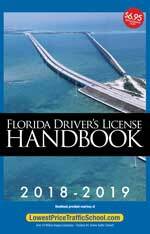 Florida allows drivers to take the basic driver improvement course up to five times in a lifetime. However, you can only take the course once every 12 months. All traffic tickets issued in Sarasota, Florida will be processed by the Sarasota County Clerk of the Court. Any information you need about the ticket will be provided by the clerk of the court. If you need more information about the Sarasota County Clerk of the Court you can find it on their website.